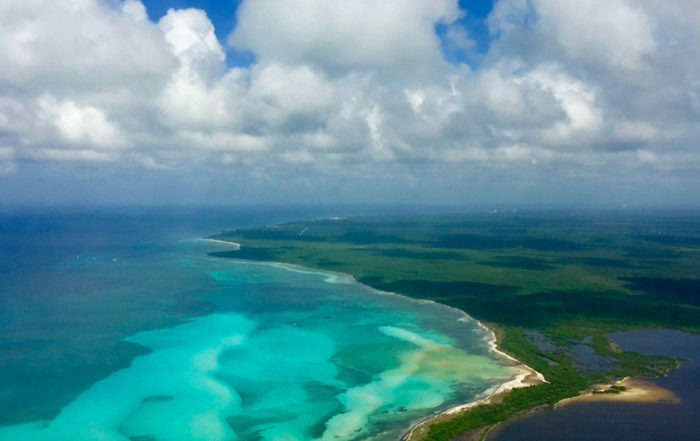 “The minute I first read about Fly Cozumel I knew we had to book this tour. My husband is a small plane pilot here in the States and loves any chance he can get into a plane. I messaged Leo right away and asked about what was necessary for already licensed pilots and the Discover Flight they offer. Leo responded right away and was just excited as I was to get my husband in the air over Cozumel. Booking our reservation was easy and secure with payment through Paypal for the Deposit. Leo was great with communication as the date of our trip and reservation came closer. We were picked up at our condo by Anibal who had a taxi ready and waiting to take us to the airport. Omar got all our paperwork taken care of with the airport officials and then we were off! My husband was able to pilot the plane from takeoff to landing with Omar taking care of communicating with the Tower. Check us out: FlyCozumel.com. For the most spectacular Cozumel Island tour.. by Airplane.